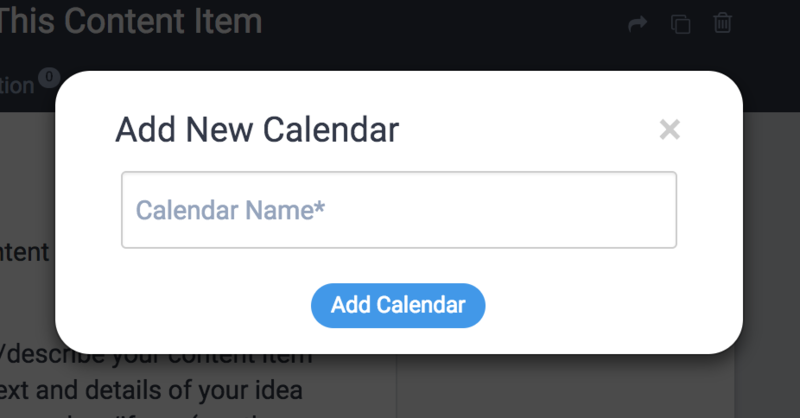 This article describes the available fields within the Add a Calendar overlay/form. There are two types of calendars in DivvyHQ, child calendars and parent calendars. Parent calendars are only available for Enterprise accounts. Child calendars are the basic organizational structure in the Divvy platform. Parent calendars function as an additional level of organization to group multiple child calendars. Below we describe how to add each. Once you click the Add New Calendar button, an overlay will appear. Give your calendar a name and click Add Calendar. You’re done! You can now go to your Calendar Admin and start customizing your new calendar. For enterprise accounts, and if you are a Global Admin, when you click the Add New Calendar button, an overlay will appear and it provides a few more options vs. a Starter or Pro Account. Give your calendar a name and select the Parent option. Then click the Add Calendar button. 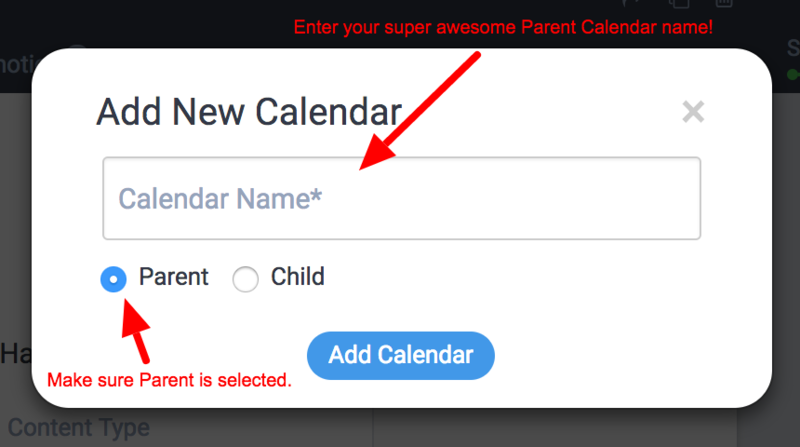 You’ll follow the same process to add a parent calendar, but you’ll select Child in the overlay/form. You’ll also be prompted to specify to which parent calendar this child calendar belongs.